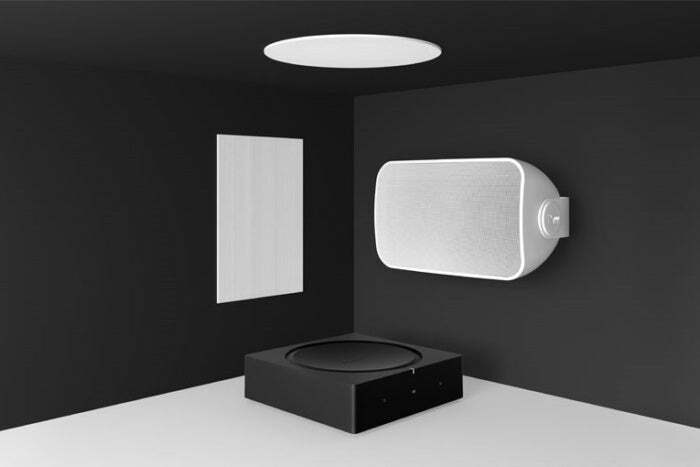 The multi-room audio company partnered with Sonance to design in-wall and outdoor passive loudspeakers for its new Sonos Amp. Sonos is taking pre-orders on its first architectural speakers, designed in conjunction with Sonance. The new product line—dubbed Sonos Architectural by Sonance—will initially consist of passive in-wall, in-ceiling, and surface-mount outdoor loudspeakers designed specifically to be powered by the new Sonos Amp, which the company announced last fall. 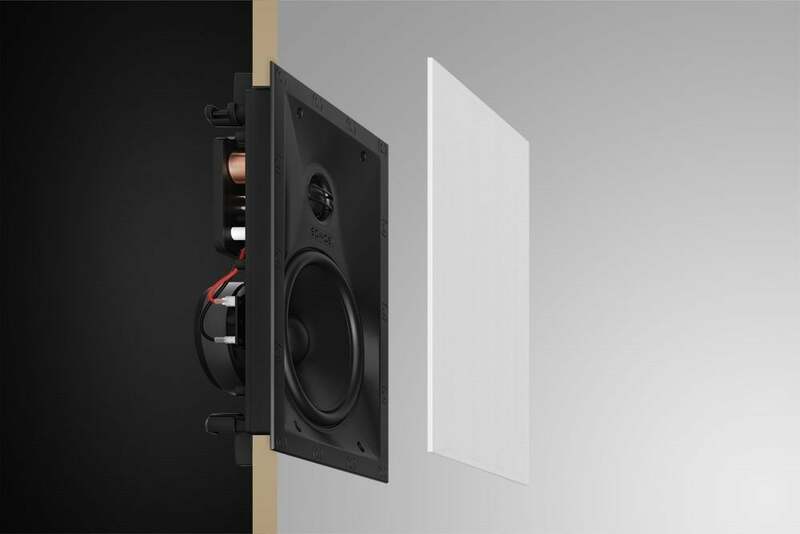 The first two speakers, Sonos In-Wall by Sonance and Sonos In-Ceiling by Sonance, are available for pre-order at Sonos.com today for $599 per pair, with general availability slated for February 26. Both are designed so that their paintable grilles will be flush with the surface when installed. Sonos Outdoor by Sonance will cost $799 per pair, with general availability in April. The outdoor speakers mount to the wall using brackets and are engineered to withstand the elements: humidity, water, salt spray, heat, ultraviolet rays, and freezing temperatures. The in-wall speakers have white grills, but you can paint them to match your walls. All three speakers are 8-ohm, two-way models, equipped with 1-inch pivoting polyurethane dome ferrofluid-cooled tweeters and 6.5-inch pivoting injection-molded polypropylene woofers. Sonos claims frequency response of 44Hz to 20kHz, +/- 3dB for the indoor models, and 55Hz to 20kHz, +/- 3dB for the outdoor speaker. The sensitivity ratings for all three are 89dB SPL (2.83V at 1 meter). The power-handling characteristics of the line reflects that they were designed to be paired with the Sonos Amp: 5 watts minimum, 130 watts maximum (the Sonos Amp is rated to deliver maximum power of 125 watts per channel into 8 ohms). The Sonos Amp is equipped with custom banana plugs that can handle 10- to 18AWG speaker wire, so we presume that’s also what the speakers can accommodate. Sonos says each Amp is capable of driving up to three pairs of Sonos Architectural by Sonance speakers. You’ll need an 8-1/4-inch cutout and 4-3/4 inches of depth to install the circular in-ceiling speakers (the white, paintable grilles are 9-3/4 inches in diameter). The rectangular in-wall speakers will need 6-15/16 x 10-3/4-inch cutouts and 3-1/2 inches of depth. Their white, paintable grilles measure 8-3/8 by 12-1/4 inches. Buyers will be able to tune the indoor speakers to the rooms they’re in, using Sonos TruePlay and an Apple mobile device. 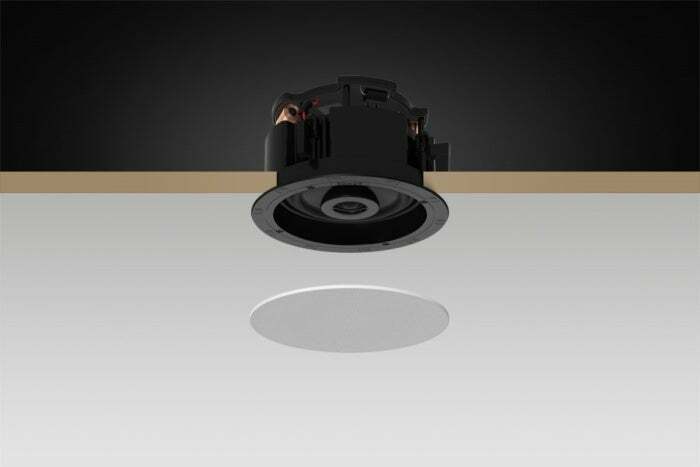 The in-ceiling speakers have a coaxial design, with a 6.5-inch woofer surrounding a 1-inch tweeter. The outdoor speakers are designed to be surface mounted and measure 6.86 inches deep, 12.14 inches high, and 7.51 inches wide (although the provided art indicates they can be mounted in either portrait or landscape mode). Sonos says outdoor environments are too variable to be conducive to TruePlay room tuning. Sonance is well known for building high-end architectural speakers and subwoofers that are marketed to custom installers. Their products are designed to disappear into walls and ceilings so that they’re heard, but not seen. The Sonos Architectural by Sonance line will also be marketed to custom installers, but do-it-yourselfers will be able to buy these speakers directly from Sonos and at select retailers.